Harness the full genetic potential of your valuable crops with Cali Pro Grow A & B and Cali Pro Bloom A & B —Emerald Harvest’s easy-to-use 2-part base nutrient series. With Cali Pro, you spend less time measuring and tweaking your feeding program and more time tending to your high-value crops. Our 2-part base nutrients are popular with growers who prefer to keep things simple. With Cali Pro, feeding your crops couldn’t be easier: just mix equal portions of parts A and B according to the application rates on the bottle or the feeding chart best suited to your strain. Reach the full genetic potential of your crops with Emerald Harvest Cali Pro Grow A & B and Cali Pro Bloom A & B, our complete 2-part base nutrient series. 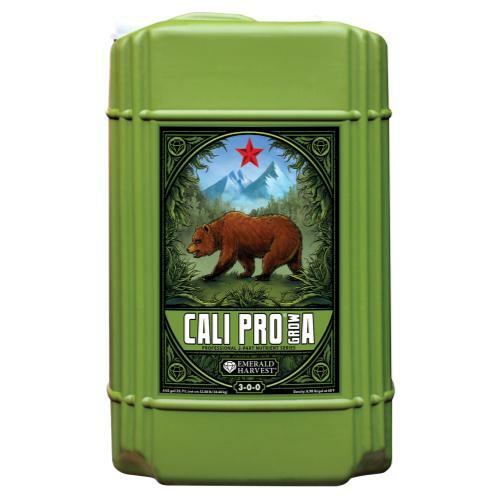 Cali Pro is engineered to fuel your garden throughout the crop life cycle and encourage vigorous productivity from rooting all the way to harvest. With Cali Pro’s simple feeding program—just measure and pour the A and B parts in equal portions—Emerald Harvest helps experts and novice growers alike achieve harvests anyone would be proud of. Use Cali Pro Grow A & B during the vegetative stage and Cali Pro Bloom A & B during flowering. Reach the full genetic potential of your crops with Emerald Harvest® Cali Pro® Grow A & B and Cali Pro® Bloom A & B, our complete 2-part base nutrient series. 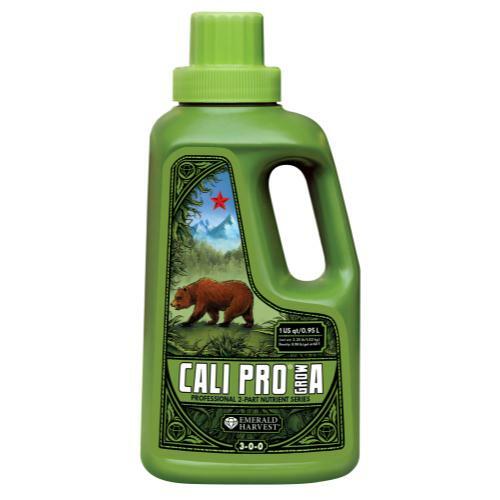 Cali Pro® is a nitrogen-rich fertilizer that nourishes your high-yield, indoor-grown crops with the essential elements they need to develop strong stalks and stems and support a robust harvest. Cali Pro® is rich in phosphorus, potassium and other essential plant nutrients needed for vigorous fruiting and flowering. It also contains trace elements such as chelated iron, cobalt, manganese and zinc. 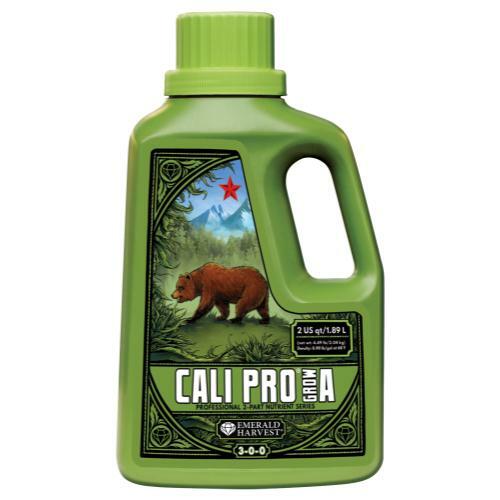 Use Cali Pro® Grow A & B during the vegetative stage.